When it comes to transportation funding, President Obama always seems to say the right thing. The latest example was his State of the Union address, where the president promoted a fix-it-first approach to infrastructure spending. On Wednesday, the White House fleshed out the idea with a proposal to direct 80 percent of a $50 billion burst in transportation spending to “deferred maintenance” of existing infrastructure. But when it comes to promoting the kind of projects America should be building, the Obama administration has touted some real stinkers in addition to some very laudable stuff. Today’s Fast Lane blog post from U.S. DOT is a great example of the cognitive dissonance between the administration’s expressed priorities and what happens in practice. DOT holds up Florida’s I-595 Expressway expansion in Broward County as “a good illustration of President Obama’s infrastructure investment plan.” This $1.2 billion highway project will add three tolled express lanes. A bargain at a mere $400 million per lane! As for taking on “deferred maintenance,” you won’t find any of that here. In making this happen, the Florida DOT has exercised exactly the kind of creativity we need to see for infrastructure investments across the country. “Innovative” supposedly means using tolling to fund highway expansion, which is really just an example of Florida finding creative ways not to change the way it does business. This is a state DOT led by a man who recently raised the speed limit, over local protests, on a street where he was ticketed for speeding. Where 800 police officers were found to be speeding between 90 and 130 miles per hour in their patrol cars during off-duty hours. A state that has been ranked the most deadly for pedestrians. It is already paying dividends. According to FDOT, there are 115 companies working on the project, currently employing more than 1900 workers. At the peak of construction, the I-595 Express Corridor Improvements Project employed as many as 179 companies and 2470 employees. Certainly jobs are a nice side effect of this kind of construction project, but that doesn’t make the road a good idea. Expanding the transit system would create jobs. Digging a giant hole in South Florida would also create jobs. That’s why the President’s plan ensures that the money we invest in infrastructure is spent wisely by adopting a “fix-it-first” policy. Repair and maintenance of our existing roads, bridges and public transportation systems should take priority before we consider investing in new facilities. Sounds like this plan should stop projects like the I-595 Expressway expansion from happening. Elsewhere on the Network today: Hard Drive reports that an Oregon city is encouraging pedestrians to hold orange flags when crossing two dangerous intersections — and, unsurprisingly, it’s not working too well. Greater City Providence compares the size of surface parking lot around East Coast state capitols. Guess which states “won”? And Human Transit shares a study finding that in certain Northeastern and Northwestern states, missed connections (the romantic kind) happen most frequently on transit. 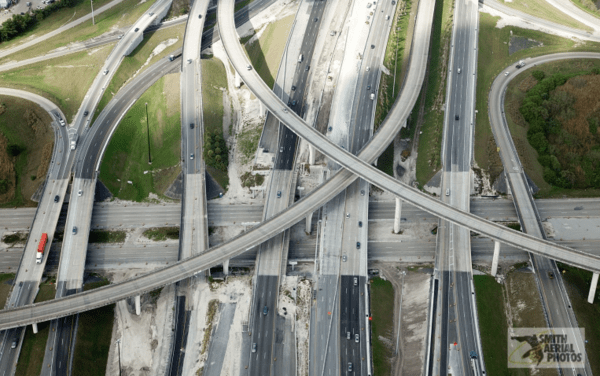 Will Obama’s Transportation Jobs Plan Avoid Funding Sprawl? Does President Obama Have the Power to Influence Transportation Policy?